Unfortunately, you have arrived at the time that our Health Center is closed. 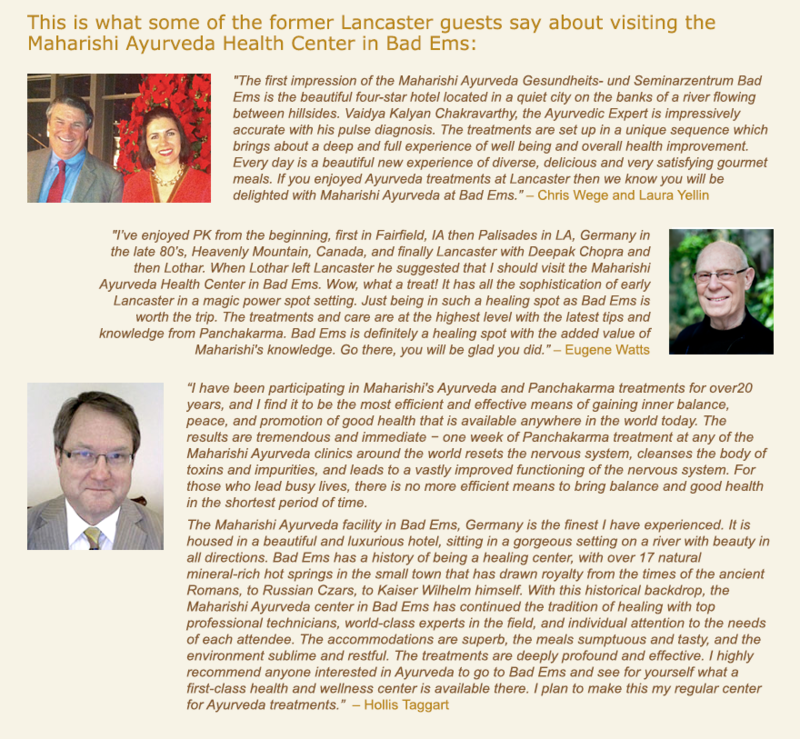 But you can still enjoy the benefits of profound Ayurvedic treatment programs at our two Maharishi Ayurveda Health Centers—one in the US and one in Germany. These two world-class Ayurvedic Health Centers have their arms wide open to give you a warm welcome. During the past three years we had a wonderful time filled with enriching experiences and we have welcomed more than 1000 people during that time. Many were repeat customers who noticed significant improvements in the facility and in our service quality. We went to great lengths to serve our guests' health needs by sharing the authentic wisdom of Maharishi Ayurveda providing "prevention, rejuvenation, and relief" through our Ayurvedic treatments, and serving nourishing Ayurvedic meals in the settled atmosphere of our wooded grounds. We sincerely thank all our wonderful guests and we will take these accomplishments and enthusiasm from the past years with us. The Raj opened its doors in 1993 in Fairfield, Iowa. Fairfield was already a lively center of profound Vedic knowledge, and the establishment of The Raj was a logical complement to Maharishi University of Management and the Maharishi College of Consciousness-Based Health Care. The building is in accord with ancient Vedic architecture called Sthapatya Veda and is especially suited for providing authentic Ayurveda. The French country-style facility is situated on 100 acres of rolling meadows and woodlands. Guests at the award-winning Raj Health Spa will find profound treatment programs that help restore balance and reawaken the body's natural healing mechanisms and also gain an understanding of how all the various aspects of their lives are interrelated and affect their overall well-being. Enjoy your stay in the heartland of Iowa and go home feeling rejuvenated and renewed in body and spirit. Nestled in the Imperial Wing of a splendid historic building, the Maharishi Ayurveda Health Centre Bad Ems has 12,500 sq. ft. of pleasant treatment and recreation rooms, including five-star guest rooms and its own hot spring-fed indoor swimming pool. The town of Bad Ems is known for its charming health resorts on the River Lahn, conveniently located near the Frankfurt and Cologne airports. The historic spa architecture with its modern health facilities, as well as a wide variety of cultural, sporting and leisure activities, attracts people from all over the world. The town has been a destination for people seeking better health for 700 years. 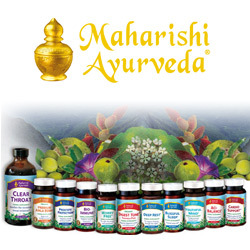 The award-winning Maharishi Ayurveda Health Center is recognized by the German government as having hospital status and employs 90 staff for your personal Ayurveda treatment program. The Clinic offers ancient and authentic wisdom of Ayurveda combined with delicious Ayurvedic cuisine and evening seminars that will give you an understanding of the holistic impact of Maharishi Ayurveda on your body and soul. In Germany we say, Auf Wiedersehen – "see you again," not good-bye. And so we hope from the bottom of our hearts to see you again.